Durst, Sarah Beth. The Stone Girl's Story. Clarion Books, 2018. Mayka's father died several years ago, and she and her fellow stone creations are beginning to fade. The marks her father gave them that allowed them to live are starting to wear away, and slowly they are losing their ability to speak, to move, to live. Mayka ventures from her mountaintop home to the valley in search of a stone mason who can recarve their marks, but she soon discovers that there is more to her father's story than she knows. This is a fantastic fantasy tale with plenty of adventure and interesting creatures to keep readers turning pages. There are plenty of twists and turns in the story which compel readers to keep reading. While there are numerous intense scenes, nothing is graphic or scary, making this book accessible to a wide range of children. The world building is fantastic and Mayka and her friends are well-developed characters. This book would make a great read-aloud for a classroom or a book for a student to savor on their own. Wild Weather, Storms, Meteorology, and Climate. Reed, M.K. Science Comics: Wild Weather: Storms, Meteorology, and Climate. First Second, 2019. 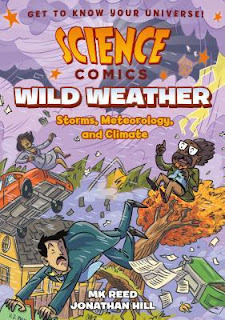 This nonfiction graphic novel presents information about climate change and meteorology, wrapped in the story of a meteorologist who is explaining climate change to his fellow newscasters. The information is presented in a very readable and interesting way, and the illustrations are an integral part of the overall story. The colorful illustrations will draw the eye of tween readers and may spark an interest in science and meteorology. Recommended. Mass, Wendy. Bob. Feiwel and Friends, 2018. Livy and her family visit her grandmother in Australia, and Livy finds a surprise in her closet. A small green creature wearing a chicken costume has been waiting for her since she left, but Livy can't remember anything about him. Together, Livy and Bob try to unravel the mystery of why he lived in her closet and waited for her return. This is a sweet story with an adorable cast of characters. 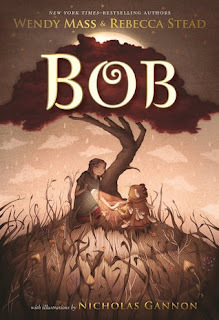 The brown tones in the illustrations match the focus on the Australian drought in this story, and the magical elements feature heavily throughout. The action and mystery throughout the story will keep readers turning pages until they reach the very satisfying ending. Recommended. Rechlin, Ted. T. Rex Generations. Rextooth Studios, 2018. This follow up novel is a continuation of the story of Cobalt, a tyrannosaurus rex, who in this book raises a family. Although the names of the specific dinosaurs are obviously fictional, the facts about dinosaurs incorporated into the story are true. 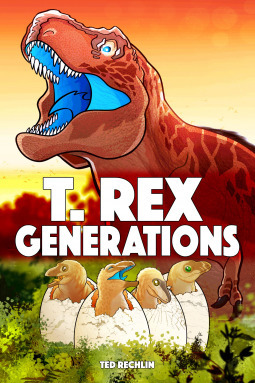 This is a fantastic way to introduce graphic novels to children who are interested in dinosaurs. The bright, colorful illustrations match the story well, and the text is easily readable and accessible to many readers. Recommended. Burgis, Stephanie. The Girl with the Dragon Heart. Bloomsbury, 2018. 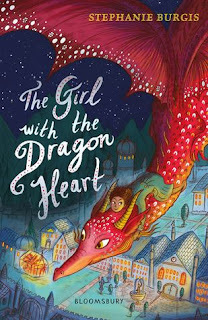 Silke is trying to make the chocolate shop famous by telling the tales of how she and Aventurine (a dragon who has taken the form of a human girl but who can switch back to being a dragon at will) saved the day. Now the royal family want to use Silke as a spy! Will she be able to get them the information they need without revealing her secret (or Aventurine's)? 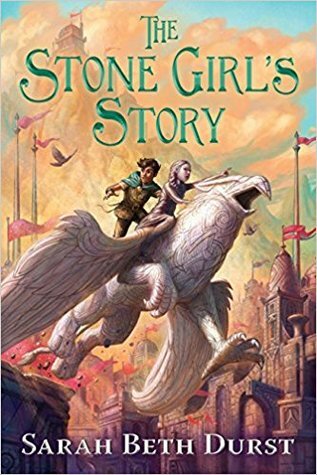 This is a perfect adventure story for middle grade and tween readers, particularly for those who are fans of Inkheart and similar fantasy adventure tales. There are enough details about the world Silke lives in to delight the hearts of fantasy fans, while the action will keep adventurous readers turning pages. This story would make a great read aloud for an upper elementary classroom. O'Connor, George. Hephaistos: God of Fire. First Second, 2019. 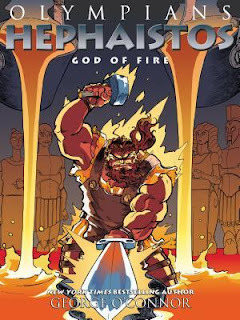 This eleventh installment in George O'Connor's Olympians series focuses on Hephaistos, with a side plot surrounding the story of Prometheus. Full-color illustrations draw the eye to the page, and the action-filled plot will have readers turning pages to discover what happens next. The end matter includes information about various titans and gods and other information regarding particular panels throughout the story. Cole, Frank. 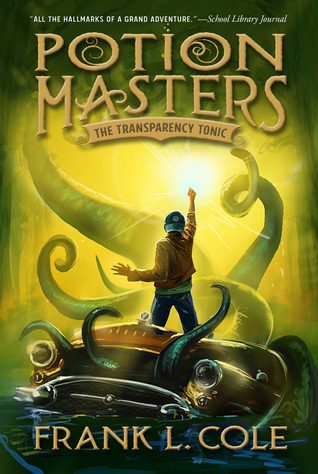 The Transparency Tonic. Shadow Mountain, 2019. Gordy is continuing his education as a dram at B.R.E.W., aided by his friends Max and Adilene. His family has moved into a new house, and there is a new principal at Gordy's school as well. The principal's daughter is a dram like Gordy, but Gordy thinks there's something odd about her and her family. Meanwhile, Gordy's grandfather, who has been exiled in a cave in the frozen north, has escaped and is pursuing means to make his escape permanent. Gordy may be the only potion master with the skills to stop his grandfather, but will he be able to make it in time? This is a delightful adventure tale that fits right in with the first book in this series. The antics of Max will keep kids laughing, and the trio are reminiscent of Harry, Ron, and Hermione with their penchant for getting in trouble and the adventures they find themselves in. The action sequences carry this story and will have readers turning pages to find out what happens next. Give to fans of the Harry Potter series, the many Rick Riordan series, or the Iron Trial. Panetta, Kevin. Bloom. First Second, 2019. Ari has just finished high school and is excited to move to the big city with his band and pursue his love of music, but his family is insisting that he stay home and help run the bakery in the hopes that they will not have to close it down. Ari finds Hector to replace him at the bakery. Hector is in culinary school and loves to bake, and Ari finds himself drawn to Hector. But what about the band and Ari's musical pursuits? This is a lovely graphic novel love story that is perfect for teens still searching for their place in the world. Ari isn't sure what he wants to do with himself, but he is definitely sure he doesn't want to bake. Maybe. Probably. The blue palette used for the panels is appropriate for the wistful tone of most of the story and helps to keep the focus on the characters and their relationship. Ari's love for Hector is beautiful, especially considering that it happens organically in the tale and that this isn't a coming out story, but rather a love story where the two main characters are male. Recommended. Howard, Greg. The Whispers. G.P. Putnam's Sons BYR, 2019. 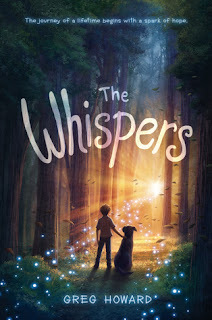 Riley believes in the old tales of the Whispers, forest creatures who can grant wishes if you bring them tribute. He also thinks they know what happened to his mama and how he can take care of what he refers to as his "other problem," aka his crush on an older boy. But he's having difficulty convincing anyone else that the Whispers are real. This is a whimsical story of a boy who still believes in miracles and fairy creatures, but who is also struggling with a family with a missing member and who hasn't yet come out to anyone and is relentlessly teased. This mashup of contemporary fiction and fantasy makes for a few awkwardly written transitions between the two, and Riley's inner monologue doesn't always read true for a junior high student. Nonetheless, the fantasy element will draw readers in, particularly those who have enjoyed fairy tales in the past. Venable, Colleen AF. Kiss Number 8. First Second, 2019. Amanda's first seven experiences with kissing haven't sold her on it being a wonderful idea, but her friends seem obsessed with it, and she is determined to find out what's so exciting about it. Her eighth kiss involves another girl and sets in motion the possibility that maybe she likes girls and not boys and maybe that's why kissing hasn't worked for her so far. Her family is holding back some secrets as well, and Amanda is determined to get to the bottom of that just as she is set on hiding her newfound crush from her family. This is a fairly typical coming-out style story, with appropriate characterization for Amanda's teenage friends. 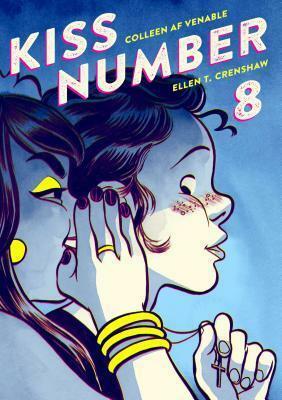 LGBTQ+ representation is very important in all aspects of literature, including graphic novels, so I would readily purchase this book for my library's shelves, although I am not certain that it would circulate well. Kang, Lydia. Toxic. Entangled Teen, 2018. Hana has been hidden on a bioship her entire life. She is not allowed to leave her room, which her mother arranged to have hidden even from the ship's map. No one really knows she's there. But her ship is dying, and when a crew comes aboard to observe the slow death of the ship, Hana decides she wants to live. 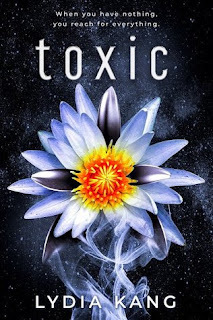 This is a good book for fans of Across the Universe or other epic science fiction stories that focus more on the characters and their relationships than on the exploration or science aspects. It would also be easy to recommend this book to teens who enjoy John Green's stories, because these may have a different setting, but the plot is still quite similar. Chmakova, Svetlana. Crush. JY, 2018. 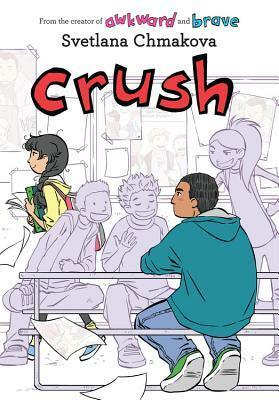 Following up where Awkward and Brave left off, Crush follows Jorge, a quiet guy who is known as the sheriff in school because he uses his size to help others. He has a crush on a friend but doesn't know how to tell her. Will he be able to ask her out to the school dance? And how will his other friends react? 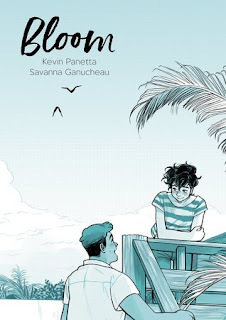 There's a lot to like in this continuation of the series: tons of diversity in the student body and staff at the school, good life lessons, plenty of teen drama. The brightly colored illustrations match the overall happy and hopeful tone of the story. This book is sure to be popular with graphic novel fans. Recommended. Lippincott, Rachael. Five Feet Apart. Simon Schuster BYR, 2018. Stella is in the hospital hoping for a lung transplant that will extend her lifespan, which has been shortened by her cystic fibrosis. She is creating an app for people with chronic conditions, to help them manage their medications and other treatments. Will, on the other hand, is fed up with treatments, hospitals, and the way his mom brings him from location to location to try every new experimental treatment in the hope that someone will cure him. As they both have CF, they are never supposed to be closer than six feet apart. Stella's organization clashes with Will's rule-breaking until they discover they are perfect for each other. 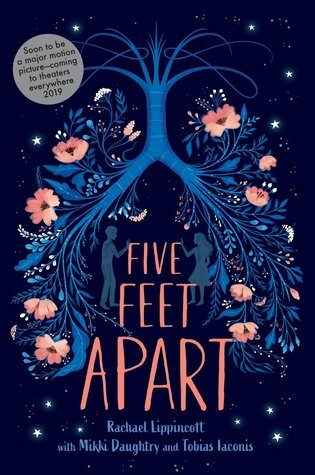 If you enjoyed The Fault in Our Stars or other books about teens with life-threatening illnesses, this is the perfect book for you. Stella's and Will's personality clashes are hilariously entertaining as the reader gets to watch each of them frustrate and be frustrated by the other one. The storyline is a pretty typical one for this type of story: boy meets girl, boy and girl fall in love but can't be together, boy and girl make unwise choices because LOVE, etc. etc. This book wasn't necessarily my cup of tea, but I can definitely see it being popular with teens in the library, especially as the movie is slated to come out at the same time as the book. Recommended. Meyer, Marissa. Gone Rogue. Feiwel & Friends, 2018. Iko is trying to find Alpha Lysander Steele, the leader of a gang of genetically engineered wolf hybrids who are demanding that Queen Linh Cinder restore them to their pre-engineered state. They are threatening war if their demands are not heard. Meanwhile, Linh Cinder has decided to abdicate the throne and turn the ruling of Luna over to a leader who will be voted into office. Things come to a head when Cinder visits Earth and the wolf hybrids make their demands in a more public manner. 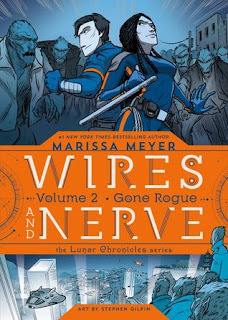 This is a fantastic graphic novel that falls right in line with the previous installment and ties in nicely with the Lunar Chronicles novel series. It is possible to read this book and enjoy it without having read the Lunar Chronicles, but it's even better if one has read that series and knows the back stories of each of the characters. The steel-toned pages are perfect for this science fiction tale, and there are plenty of perfect subplots (Iko being judged for being an android, for example) that are easily interwoven into the overarching plot. Recommended.